Whether you’re in search of tidy designs for small spaces or a statement piece for your pad, we’ve got just the thing to make your Home Office work. With increasing numbers opting to set up their own business, go freelance or escaping the busy office environment, there’s never been a better incentive to create a smart Home Office space. 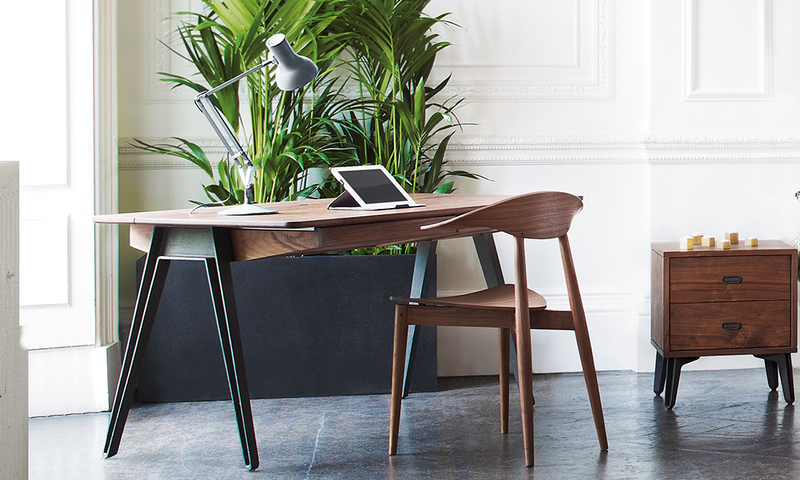 To get you excited about the short commute to your desk, we’ve picked out a range of contemporary home office furniture that work within a range of price points. 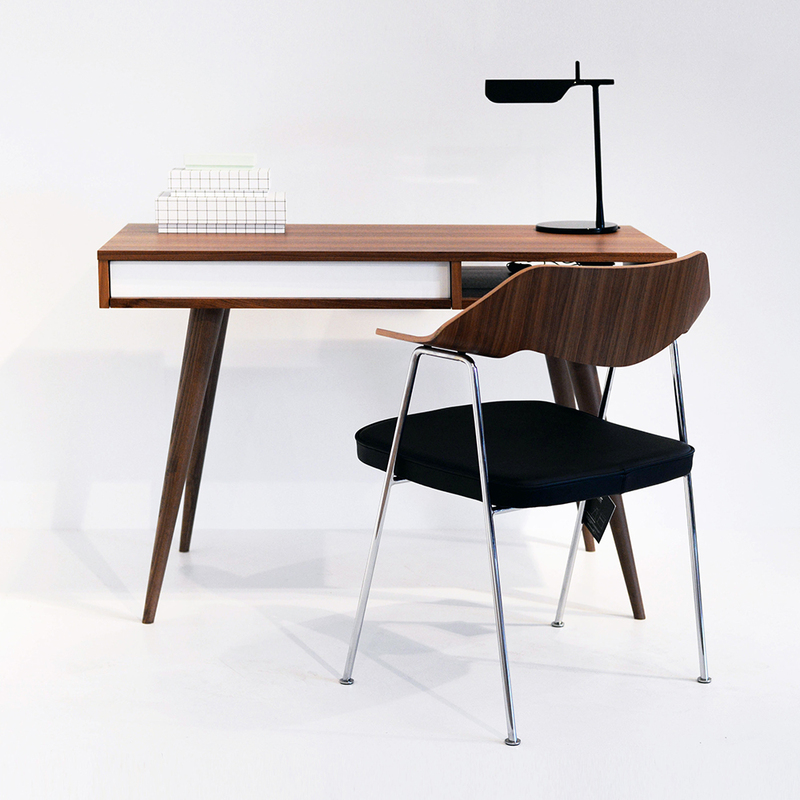 The playful lines of mid-century design make a welcome distraction to any workspace. 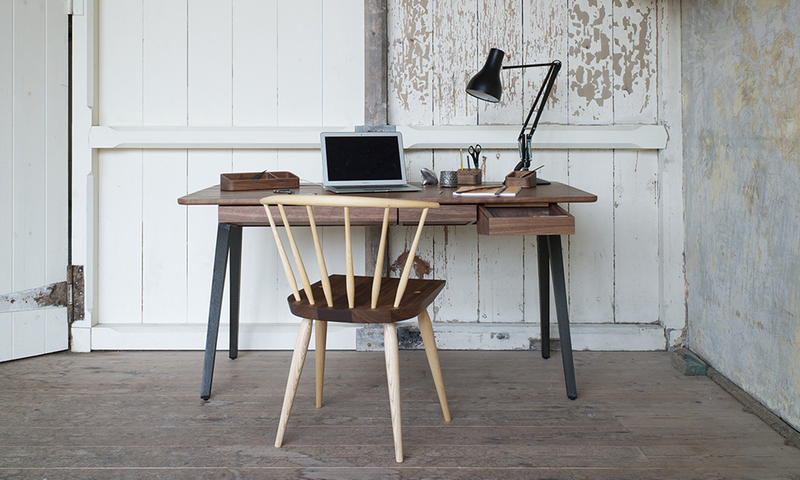 Celine Desk by Nazanin Kamali £450, Case 675 Chair by Robin Day £275, Tab Table Lamp in white £205. 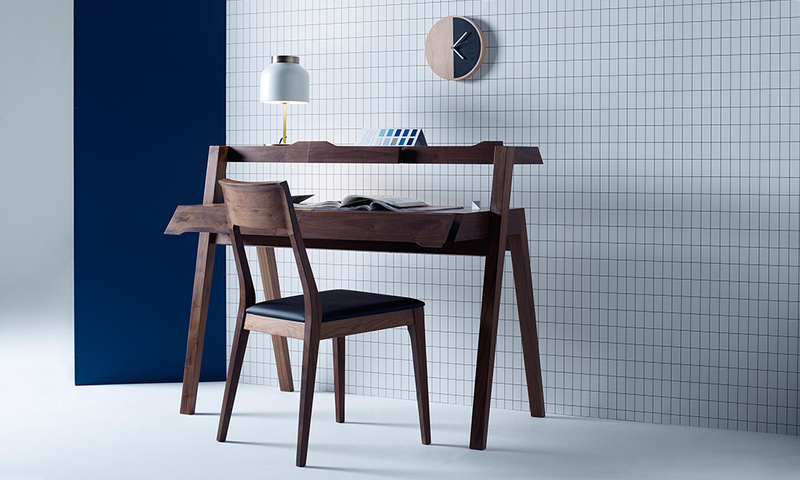 Get your Home Office ship-shape with the geometric form of these contemporary classics. Primary Desk by Nathan Yong £1595, Orlo Side Chair in black leather £345, Crawford Table Lamp in White £175, Primary Half Clock £65. Whether for work, rest or play, every space deserves a touch of designer luxury. Orson Desk by Matthew Hilton £3042, Manta Chair £870, Type 75 Deks Lamp by Kenneth Grange £130 and McQueen Bedside Table £2070.